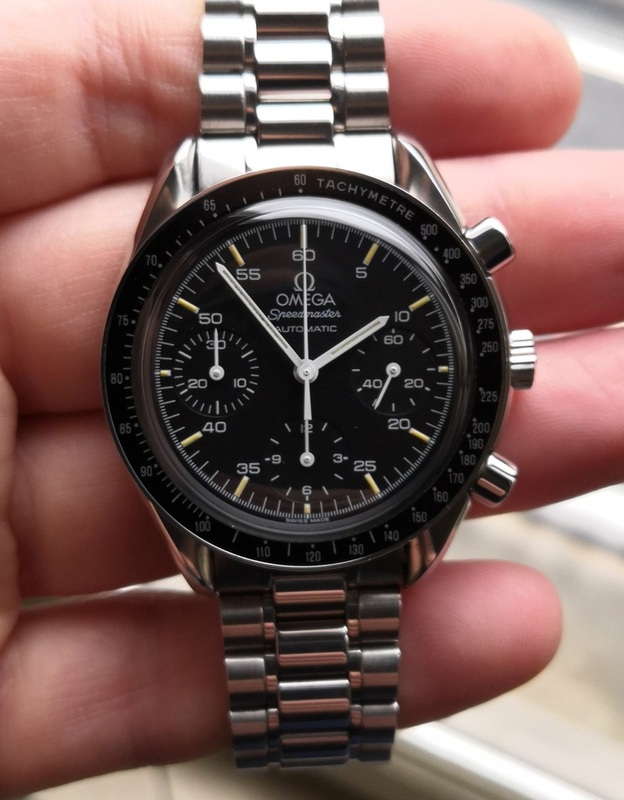 Fo sale, this beautiful Omega Speedmaster reduced 3510.50 that I bought recently (I am definitely more attracted by the older chrono…). 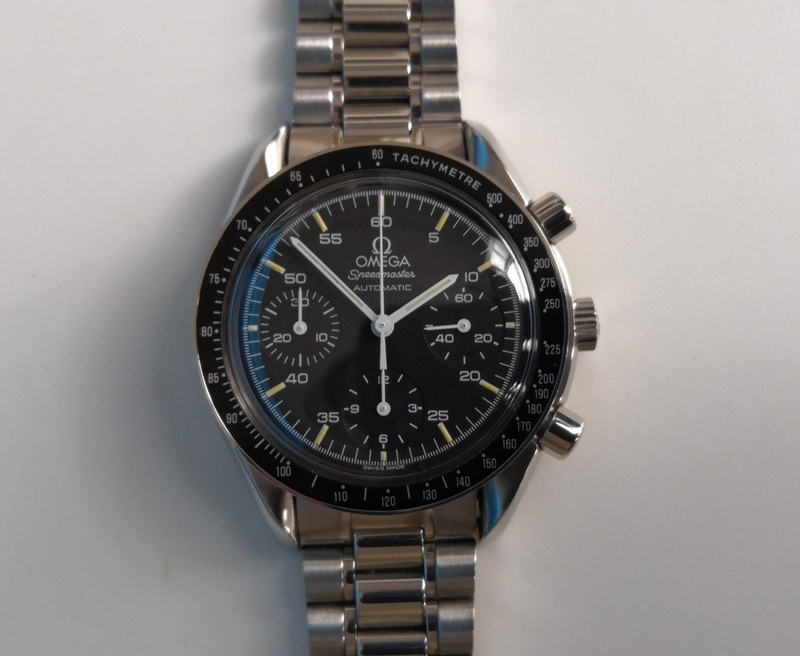 The watch is from 1993 (# 543XXXXX) and is in excellent condition. The size is 39mm without the crown (42 with the crown). Looks unpolished. Very good condition. The crown is signed. 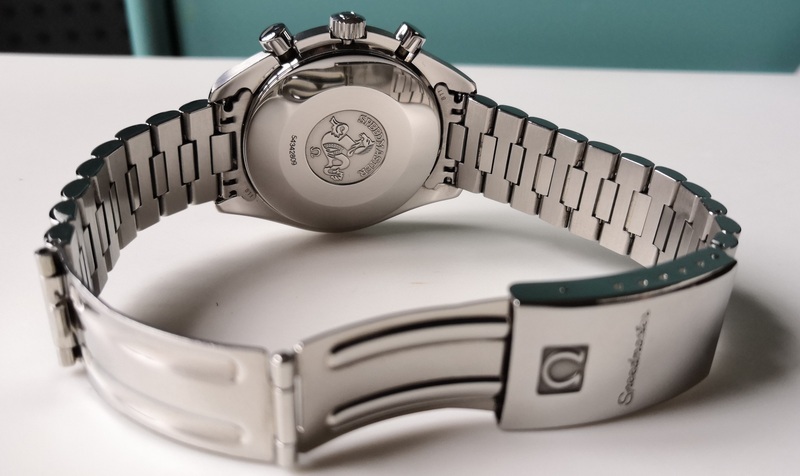 The plexi (without scratch) is engraved with the Omega logo on the center. The bezel is in perfect condition. 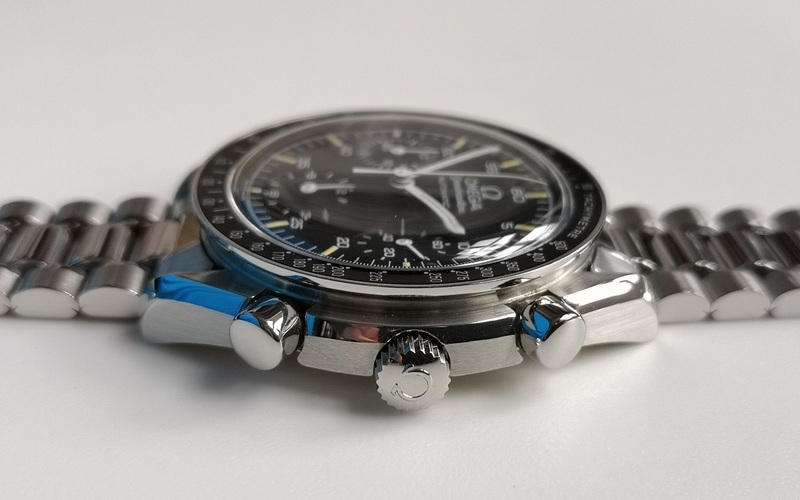 The dial has zero defects. The tritium indexes took a very pretty yellow patina. The caliber 1140 has been serviced by the previous owner in 2016. It works perfectly: Reset perfectly aligned, keep good time (+ 9s / day) and have a good power reserve (40h). 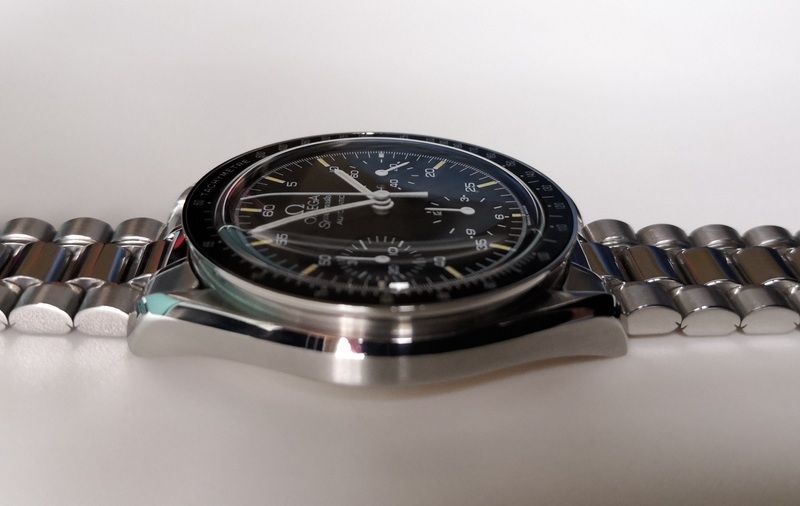 My price is 1780 € (which is quite honest for a speedmaster 3510.50 tritium recently serviced and which, given the condition, has always been worn carefully!) Shipping cost to be discuss with the buyer. I am located in France. I am a serious seller. Many transactions here and in other place. Thanks Chronocentric for the space.